Zen.nl Eindhoven provides zen meditation training to everyone interested in an active, energetic and relaxed way of life. Zen.nl's training methods are well-established and have proven to be effective, practical and inspiring. Zen.nl Eindhoven offers meditation training and zencoaching in English for individuals and groups. Workshops and courses at introductory and advanced level are organised regularly throughout the year. Planning of new activities takes place twice a year, based on expressed interest. For information please contact us at lilian@zen.nl or 00 31 (0)6-22433219. 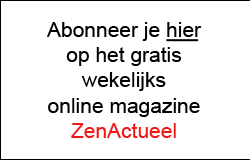 Zen.nl Veldhoven, Provincialeweg 80d, Veldhoven. I would like to participate in a trial class. Please keep me informed of future trial classes.